Santa Claus is a big fan of our holiday gift label stickers. 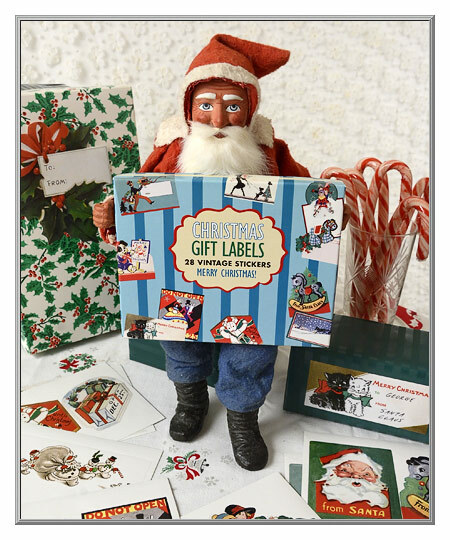 He appreciates their larger size (with the space to include a personal message) and also because these nostalgic Christmas designs can't be beat! 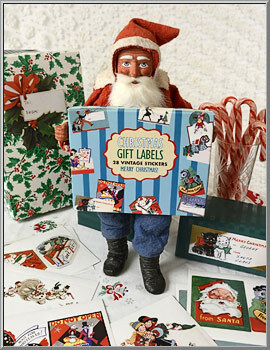 A handy set you will use the entire yuletide season, they are printed using vintage ephemera of the 1920's to the 1950's. Self-adhesive gift label stickers are printed in full color. Boxed set of 28 stickers. designs measuring 4" by 5".